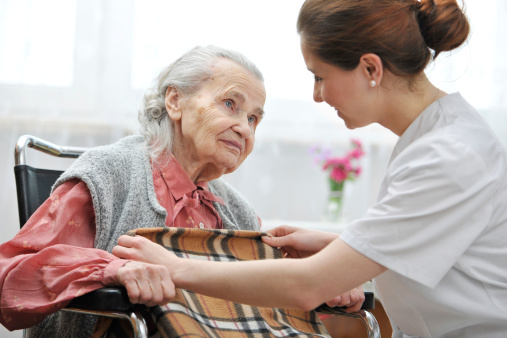 The bill calls for nursing home residents to get "quality health care regardless of the payer." Illinois state lawmakers are hoping a short, clear set of principles can keep Medicaid managed care programs from hurting the quality of life of consumers who are getting Medicaid nursing home benefits. Members of the state Senate are considering Senate Bill 3450, the Nursing Home Residents’ Managed Care Rights Act bill. Continue to live in the care center they call home. The lead sponsor is Sen. James Clayborne Jr., D-East St. Louis. At press time, the bill had 22 cosponsors. The state Senate Public Health Committee is planning to hold a hearing on the bill Tuesday. Nursing home allegation: Drugs used to ‘chemically restrain’ seniors?